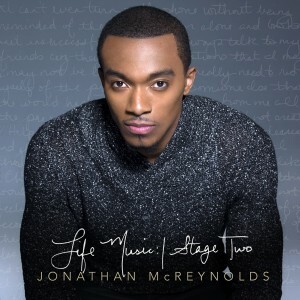 Life Music: Stage Two couldn’t be a better showcase for Jonathan McReynolds. The follow-up album to the 26-year-old singer-songwriter-musician’s 2012 debut, Life Music, Stage Two is the musical manifestation of his honest and spiritually grounded approach to dealing with the vicissitudes of daily life. The Chicago-born McReynolds is one of the few gospel solo artists who plays acoustic guitar. His mellow blend of acoustic neo-soul with churchy conviction may be somewhat novel today, but it mirrors the intimacy of his lyrics, which feel like informal conversations with God. “Jesus” is an especially pleasant surprise. Its neo-traditional groove is equal parts James Cleveland and Kirk Franklin. With the B3 whirling away, it is a fitting finale to an album with many refreshing and tuneful moments, including the cerebral “Limp,” whose lyrics pretty much sum up McReynolds’ life philosophy. Highly recommended. Ask any female R&B, pop, and gospel singer below retirement age about her music influences. One in three will include Kim Burrell in her litany of vocal idols. Indeed, the church-raised singer who never took formal voice lessons was a favorite of the late Whitney Houston, who called Burrell’s voice one of the greatest. 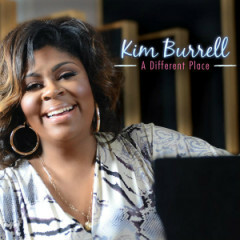 Burrell’s vocalizing exists at the six-corner crossroads of gospel, R&B, and jazz, and it’s this amalgam that she displays on her latest album, A Different Place, released by Shanachie in collaboration with New Brand Records, LLC. Asaph Ward, who produced Burrell’s Grammy-nominated The Love Album (2011), is once again in the producer seat for A Different Place. 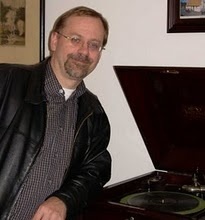 He also wrote or co-wrote half of the selections and sings on the album’s high point, “It Is Done.” A big production number with altar call drama, “It Is Done” features a choir of background vocalists, strings, and organ in addition to the usual accompaniment. God said it is done, Burrell and Ward declare, and it is our job to believe it. Burrell even gets downright evangelical in her recitative to support the message. A few songs, including the opening “Praise Groove” and the current single, “Thank You Jesus (That’s What He’s Done),” are straight-up spiritual entertainment with funk overtones. But the album really opens up toward the end with cuts like “It Is Done” and “Have Faith In Me (Mark 11:23).” The latter is a live audience favorite on the power of belief. It deserves a radio edit and single rotation as much for Burrell’s delivery as for the background vocalists’ catchy staccato chorus. “Father I Stretch” is a modern but churchy take on the classic hymn. “I’m Free Indeed” finds a passionate and sassy Burrell stomping on the devil. “Never Let Go” has a Broadway stage quality to it in its quiescent survey of a society on the brink of desperation. It concludes with an encouragement that God will make all things right. The album ends with a brief Easy Listening Mix of “Never Let Go.” This snippet would have been more effective as a reprise immediately following “Never Let Go,” as “It Is Done” is a fitting conclusion in and of itself. Not surprisingly, Burrell’s athletic voice is the glue that holds the album together. She dashes up and down staves, changes pitch and direction in mid-melisma, worries notes into exhaustion, and conjures rough-throated Pentecostal turns when the spirit gets high. Examined as part of Burrell’s catalog of albums, there’s nothing different or novel about A Different Place. It is, nevertheless, a solid example of the singing that has made Kim Burrell a favorite, especially among young female vocalists honing their craft. 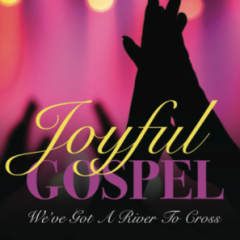 Although Joyful Gospel gets top billing, the choir we hear on the album We’ve Got a River to Cross, released on the New Orleans-based label Rampart Street Music, is actually a blend of choral ensembles. More specifically, it is a combination of the group Joyful and the Spirit of New Orleans Choir, which itself is a conglomeration of members of gospel groups that work with Jamalar Booking Agency in New Orleans. Not a shouting group by any means, this combined choral group sings with studied elegance, precise articulation, smooth delivery, youthful enthusiasm, and friendly harmonies. Like their accompanying band, the group could easily be studio musicians. Their spit-polished sound is a clear commitment to maintain multicultural appeal. Indeed, they have earned accolades in Europe, where they continue to tour. A majority of the album selections are straightforward contemporary gospel in the Hawkins Family style, though the choir pays brief homage to their New Orleans roots by jazzing up “The Son is Shining My Way.” It would have been a treat to hear more of the music heritage of New Orleans in the arrangements. All of the songs, save the Lionel Richie-penned “Jesus is Love,” were written or arranged by the choir’s keyboardist, Carolyn D. Shield. The Spirit of New Orleans Choir was organized out of artists from various gospel groups booked to tour Italy during the Christmas season of 2005. Back stateside, the choir sang for fundraising concerts to help struggling New Orleans musicians and their families in the aftermath of Hurricane Katrina. It was so popular that Jamalar kept the singing group going. We’ve Got a River to Cross is pleasant listening from a professional choir that makes the crooked straight and the rough places plain. From there, however, Dear Diary offers mostly new school twang, with modern beats and instrumentation, flashes and chortles of electronica, and percussive piano quarter notes as intros on a few tracks. The instrumentation, in fact, is as much of a presence on the album as the singer. At the same time, “Your Award” and “It Will Be Alright” possess keen pop melodies, and “Drop That” has a catchy chorus that will likely make it to the playlists of non-conglomerate gospel radio stations. “The gospel music industry has to use different methods to get different results,” Spight says, but no apology is needed. 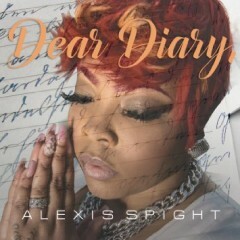 Spight’s urban AC-driven, pop-flavored gospel is now industry standard. 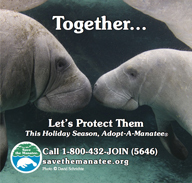 What was once alternative is now normative. Still, the album’s finest secret is the Spight-penned “Only Jesus.” Accompanied by Jamar Jones on piano, the singer delivers a neo-traditional churchy selection that reminds us of why she was a BET Sunday Best finalist in 2012. 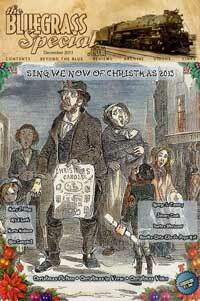 The song gives Spight space to improvise with vocal flowers and frills; listeners will be standing and waving hands. Like “Ain’t Nobody Gonna Turn Me Around” from her L.O.L. album, “Only Jesus” will resonate best with traditionalists. Outside of “New School Twang” and “Only Jesus,” the old church can be found in the album’s main lyric content, which focuses not on repetitive praise lines but on the importance of maintaining faith and belief during trying times. “I Believe,” “It Will Be Alright,” and “Don’t Worry” telegraph this in their titles. The current single, “All the Glory,” has a Tasha Cobbs-style flowing worship feel and is the most in synch with today’s gospel top 20. What originated as a group of friends jamming on old gospel songs distilled into the five-member Eagle Rock Gospel Singers. The Los Angeles group’s full-length debut, Heavenly Fire, declares their earthy conviction for true living through details of personal struggles and Bible tales that sound ripped from the pages of William Faulkner. The Eagle Rock Gospel Singers blend alt-country, rockabilly and gospel into a mix somewhere between Wilco, Neko Case and the Staple Singers. At the same time, the group’s expansive, extroverted harmonies, fronted by Kim Garcia and Alissa Bird, evoke the over-sized ’60s folk-rock sound of the Mamas and the Papas and the Seekers. In concert, the group is just as likely to deliver an original song as something by the Staple Singers or Washington Phillips. On Heavenly Fire, however, they stick to originals. To a steady country beat and punctuation from pedal steel, “Stephen” details the martyrdom of Saint Stephen. This song is somewhat reminiscent in tone of Johnny Cash’s Sun Records-era rockabilly take on Belshazzar. Within a wall of sound, “MMLJ” praises the four gospel writers as the sources “where I get water from.” Fueled by blasts of brass that kindle images of New Orleans funeral marches and south of the border celebrations, “Meet Me” declares that as Christian soldiers, we “may die in pain” but “not in vain. Eagle Rock Gospel Singers, ‘MMLJ,’ from their debut album Heavenly Fire. This live version was performed on August 7, 2015, in the studios of Seattle’s KEXP, 90.3 FM. Two highlights are the slow and soulful, B3-drenched “Crying,” about the struggle to find inner freedom; and “Underground,” where the group intones: “I want to tell you that I love you but I don’t know how.” Of course, the irony is that they do know how, and they way they do it is refreshingly innovative. 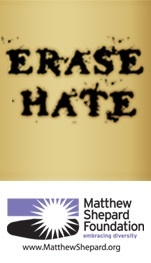 On the title track, the group sings, “I make no apologies for my honest voice.” Nor should they. The Eagle Rock Gospel Singers are about as honest sounding as they come. 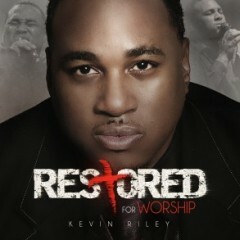 What strikes you upon hearing Kevin Riley’s new album, Restored for Worship, is how well the project would work as an Easter cantata. Literally beginning at the beginning, with dramatically spoken snippets from early Genesis during the first of the Little Rock, Arkansas’ singer-songwriter’s several interludes, Restored for Worship follows the march of time from creation and the dawn of humanity to Jesus’s passion, resurrection, ascension, and the first Pentecost. Riley uses this construct to show how the “plan of redemption” that began before creation was made manifest in Jesus’s death and rising, thus restoring man’s capacity for worship. The title track, a musically complex selection that features Riley’s most inspired singing, sums it up. Although “King of Glory” is the single, “In Awe of You” is the most radio-friendly of the bunch. The minor keyed “Via Dolorosa” is a haunting evocation of Jesus’s walk to Calvary. Riley’s baritone is as fundamentally uncomplicated as the music. He sings best within his vocal range and sounds uncomfortable outside those limits. With the exception of the title track, Riley is at his best with help from the background vocalists. If re-worked as a cantata, Restored for Worship could flourish with more variety–-that is, if some songs are rendered by a choir, some by a group and others by a soloist. Zaviel Janae Slack (Zaviel Janae) of Atlanta opens her live album, Here I Am, with a blunt and tearful testimony. Her story of how a pregnancy out of wedlock went from bad to worse but ended positively is the kind of mea culpa that leads one to devote her life to God and sacred music. Here I Am was recorded in Decatur, Georgia’s Covenant Cathedral in January of 2013. Lyrically, the album focuses partially on surrendering one’s being to serving God. She expresses this most explicitly on the title track and “Surrender,” with its high-octane propulsion and Middle Eastern flavors. Other songs are fundamentally vertical praise songs, such as “Jesus,” the hypnotic “Hallelujah” (the chorus evokes the motif of “Falling Slowly” from Once) and the musically and rhythmically complex “Adore,” on which Zaviel exhibits some of her most inspired singing. Although not radio-friendly, “Adore” is worth listening to frequently to tease out its nuances. But for all the sweeping and energetic P&W on the album, Zaviel’s sweet spot is delivering the album’s two Rod Lumpkin II songs. The title track, a lovely ballad about accepting discipleship, is the album’s high point, though she embraces the equally lovely “Lord You Are” with a soothing, cooing resonance. Another highlight of the album is the team of guest vocalists, notably Darlene McCoy (“You Are”), Lowell Pye (“You Amaze Me”), and Aaron Marcellus (“Adore”). For its indie vibe, Here I Am demonstrates a great deal of major label swagger.